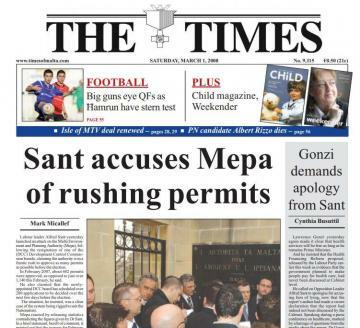 It was amusing this morning to read the front page headline of Times of Malta 10 years ago to date. It was days before the 2008 general election and then Labour leader Alfred Sant stood outside the Planning Authority offices and accused it of being in a frantic rush to approve as many permits as possible. The situation, Sant insisted, was a clear case of a rigged system to suit the Nationalists. He was right. Times of Malta front page 10 years ago. 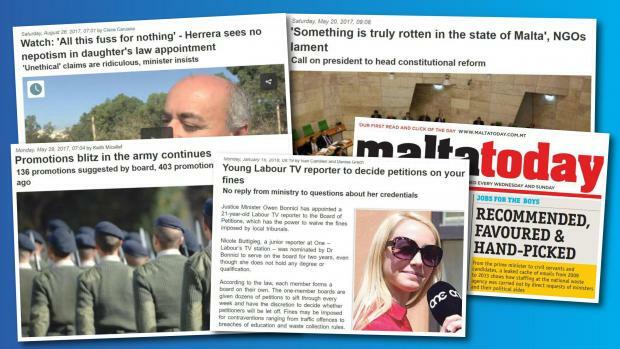 Fast forward some years and a cache of emails exposed by Malta Today last week showed messages detailing the consistent efforts of Nationalist ministers, government MPs and their political aides in favouring voters for direct placement at Malta's national waste agency before 2013. It was merely the proof of the power of incumbency successive governments have mastered since, at least, the early 1970s. The Labour Party is rightly having a field day condemning the PN's antics, a justifiable reaction were it not for the fact that this government has turned nepotism and patronage into an art form. Talk about the pot calling the kettle black. I do not need to go into the merits of why incompetent or merely partisan people should not continue landing jobs at government entities, at taxpayers’ expense. What infuriates me is the number of qualified, overly-competent people who continue being elbowed out by hundreds of people who land a job merely because they threatened/bought/helped their politician get elected with their vote. Political nepotism is symptomatic of a much deeper problem, especially now that we are seeing decisions which blur the lines separating the legislative, executive and judicial branches of government. It is disgraceful that entities such as the public service, the judiciary, the police and armed forces are consistently used as extensions of political party clubs or recruitment agencies. What worries me is that more people than ever are resigned to accept this as a Maltese fact of life. "If our political opponents did it, then why shouldn't we," is a common mantra of a little island with no morals or values. It is the result of a failed educational and political system which leaves no space for critical thinking and imbues us with plenty of complacency when faced with impunity. Instead, we've been indoctrinated to use the country's size to get through the back door. Indeed, the more things change... the more they stay the same.